I spent a very happy, autumn-y weekend camping on the ANZAC Day long weekend in Hill End, at ‘The End Festival of Arts, Feasting and Heritage’ organised by NSW National Parks. 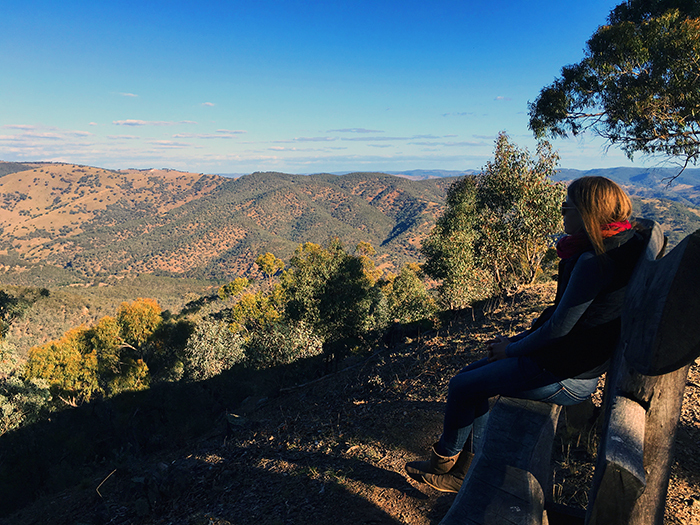 Located in the central west of New South Wales, Hill End is around 70km from both Bathurst and Mudgee, and just under 4 hour drive from Sydney. It is an Historic Site managed by the NSW National Parks and home to a community of about 100 people. My friend Oceana sent me a link for the event and it sounded like the perfect weekend mix of music, local food and drink, and the Aussie bush! Joined also by another friend, Giselle, we left Sydney early on Saturday morning and drove up through the Blue Mountains for an easy drive stopping only for coffee along the way.